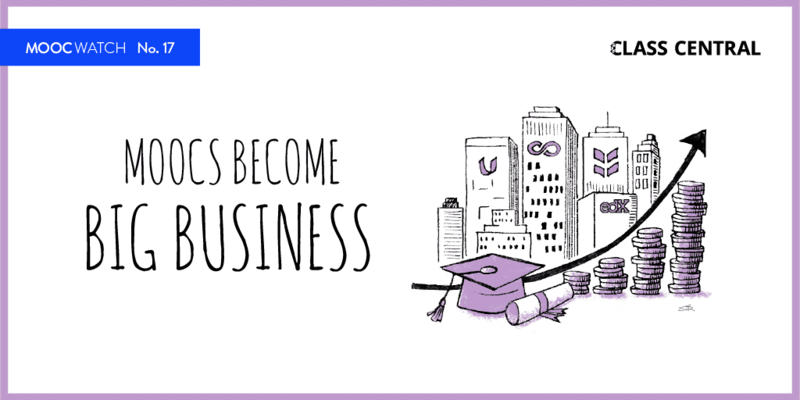 The majority of MOOCs available today are university courses that have been put online, or courses which were created by corporations and target specific career skills. 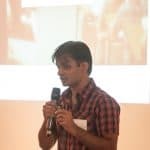 However, in 2015, MOOC providers have started targeting high schoolers with the intentions of closing the college readiness gap, helping students to get a taste of different majors through introductory courses, and providing exam preparation (like AP) courses.Two specific MOOC providers are leading the charge: edX and FutureLearn. 5. to expand one’s horizons. Dig deeper into each of these reasons by reading our article here. Last year, in September 2014, edX announced a High School Initiative with over 26 courses for high schoolers. This year that number of courses has expanded to 59. Most of the courses in the High School Initiative are being created by universities like Rice, UC Berkeley, MIT, Cornell, and others. 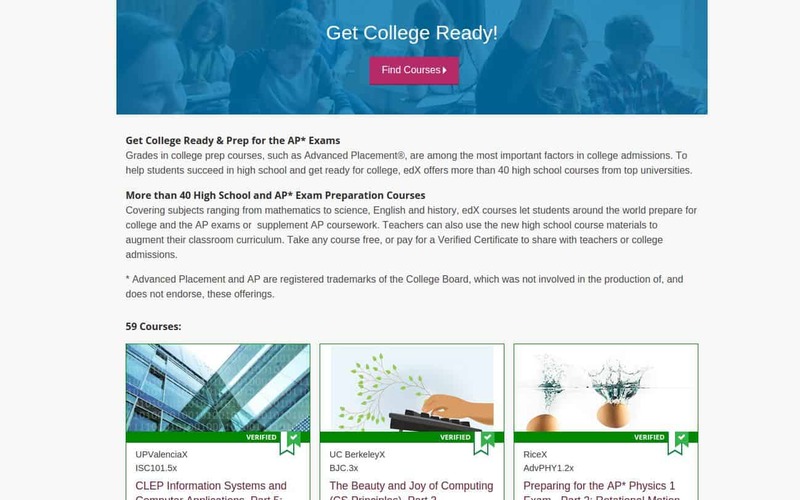 But edX has also partnered with St. Margaret’s Episcopal School and Weston High School, both of which have created AP exam preparation courses for edX. With these courses, edX is hoping to shift the usual demographic make-up of MOOCS from an older, degree-holding audience to younger audiences who do not yet possess a degree. Some early numbers show an improvement in that direction. The numbers also show a higher percentage of female students in these MOOCs, thereby closing the MOOC gender gap. More detailed numbers can be found in this blog post by edX. In a survey by FutureLearn of 1,000 16-to-18-year-olds, it was found that 61% of students did not feel prepared for university learning. FutureLearn’s answer to this was to suggest that students take one or more of FutureLearn’s short “going to university” courses. 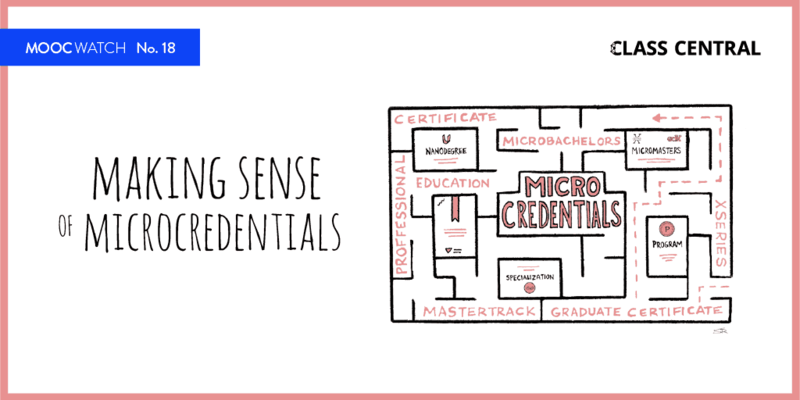 The idea was that these courses would help students gain new skills and, crucially, have something around which they could build their all-important UCAS personal statement — indeed, it’s meant as a “selling point” that would make their personal statement stand out from the crowd. 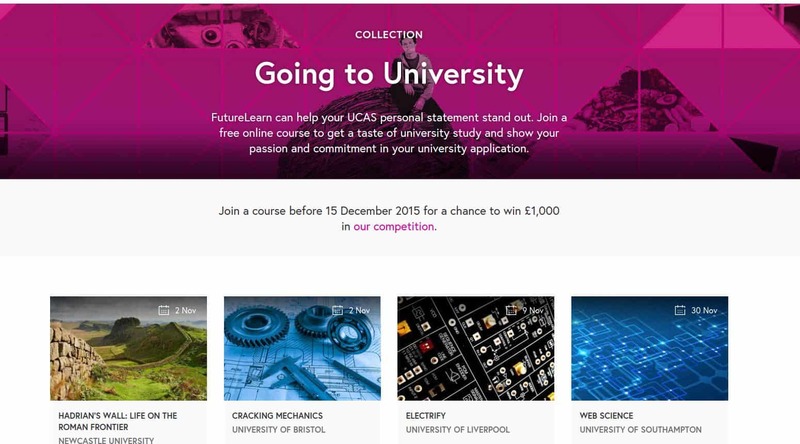 FutureLearn even sweetened the deal by offering a £1,000 prize draw for students who joined a “going to university” course by December 1, 2015. 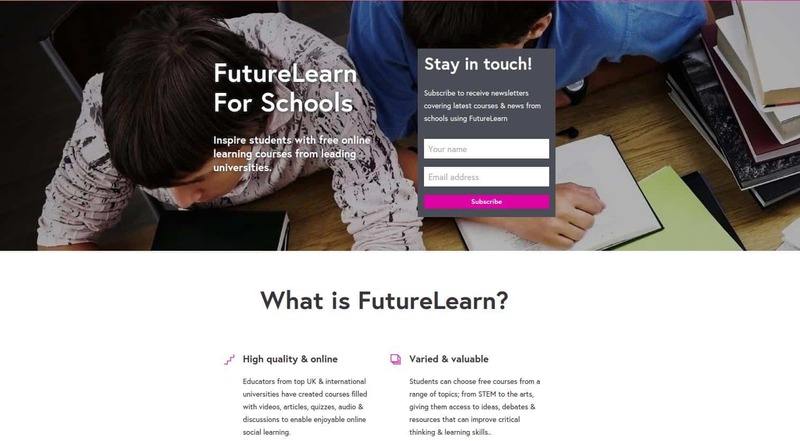 FutureLearn are also working on an iniatiive called “FutureLearn For Schools.” They directly work with schools so that they can offer FutureLearn curriculum to their students. Another way for MOOCs to target high school students is to help them gain college credit, thereby reducing the cost of their degree. 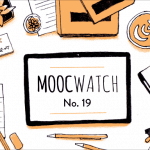 We will explore the topic of MOOCs and credit in an upcoming article in our 2015 MOOC Roundup Series. Stay tuned.